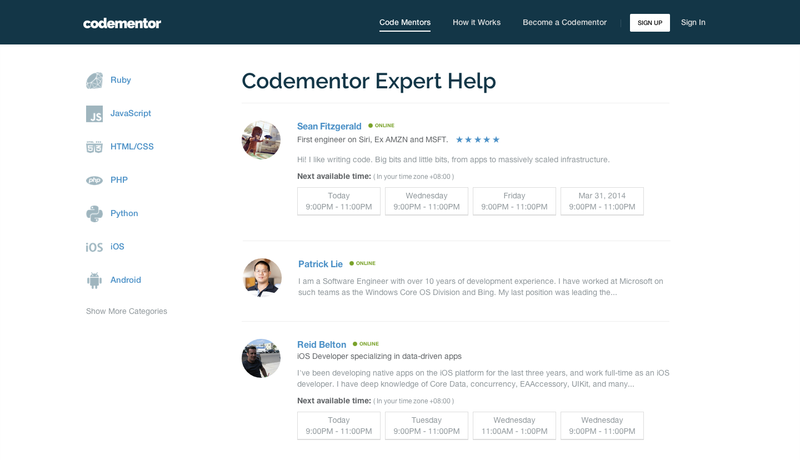 Junior developers stuck on a coding problem for hours will probably breathe a huge sigh of relief to hear they can get help instantly from experts with the click of a button — as that’s what Codementor is setting out to do. This means that individuals or startups with tight budgets don’t have to fret over hiring senior developers or experts — they can simply schedule a short session to seek answers to their problems. More than 10,000 developers have already signed up on the platform and over 2,500 experts have applied to be included, though the company says it has only vetted and approved 600 so far. These include O’Reilly authors, creators of popular open source libraries, and top Stack Overflow users. We’re building a two-sided marketplace, so that always takes time. It’s also unlike something like eBay or oDesk… If I’m selling my cup on eBay for example, I can just post a photo of the cup and I don’t really need to respond to any request immediately. But for building something like Uber, people are often time-sensitive. If you try to request a car on Uber and it takes 30 minutes for you to get a car, that would be a pretty bad experience. For Codementor to work, we need to provide the help as instantly as possible and it’s definitely not a trivial task for us. It’s not just about the funding — the funding is great, but by getting the funding from these strategic angels will give us a lot of tremendous help in terms of experiences, insight on how to build a marketplace successfully. As the idea of “instant help” for consumers becomes mainstream and more popular, seen by Google’s launch of Helpouts and Amazon’s Mayday feature on its Kindle Fire tablet, Codementor is focusing on an area that till now hasn’t really been tapped on. 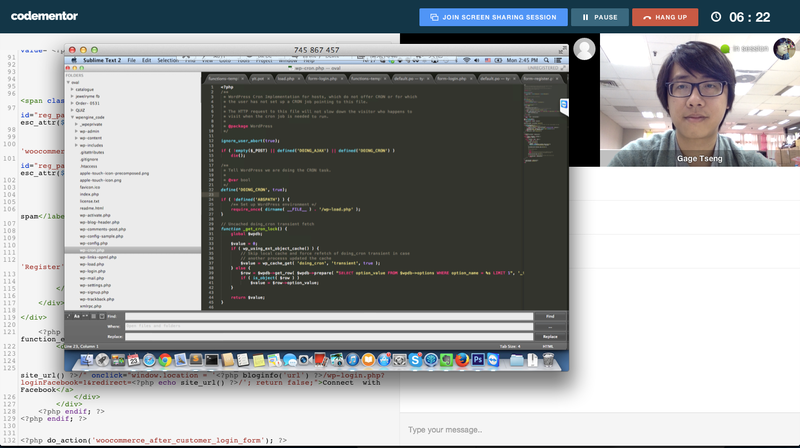 Liu says that no company has specifically pooled experts together to provide live support for learning how to code. Technically though, a generic platform such as Google Helpouts could likely provide similar help if there is such a category. To fit this idea of instant help, Liu explains that Codementor lets experts specify their available times, and also provides IM integrations such as Google Talk which notify them when relevant requests come in. This is so that mentors don’t need to be logged on to the Codementor site all the time. Liu also notes that it is important for Codementor not to be a free service. “If it’s an open, free service you will see a lot of people like students who come here to ask people to do homework for free for them. Our experts told us about this: if you have a free service you will get people who are less appreciative,” he says. Obviously, this gives expert developers more reason to join the platform, given that it’s an extra source of income — though Liu says that the reason why some of the experts come onto Codementor is also because they enjoy helping people. By teaching, they also learn how others are applying concepts or using their open source libraries. The idea of an Uber for software developers seeking on-demand help should go far — and Liu also tells TNW that when the infrastructure has been built out, it could branch out into other verticals as well.